I thought that it couldn’t get any flatter. Then it did. As you’ll all know, the Netherlands is well-known for its lack of mountains, hills, valleys, and anything else that might break the even curvature of the earth’s surface. This reputation is not entirely based in fact – the East, and the South East especially, are positively mountainous when viewed in the Dutch context, with summits and peaks of well over 250m. Positively alpine. 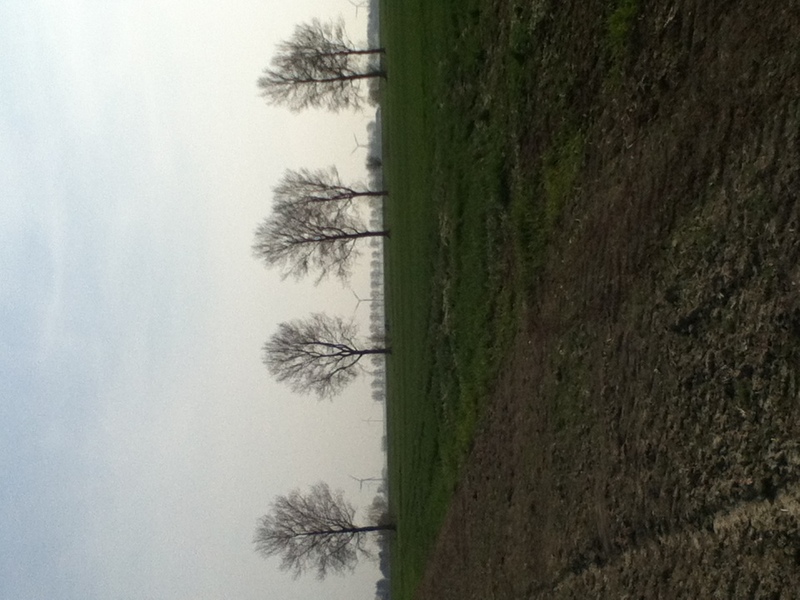 But in general, Holland is a very flat place. Anyone who knows the story of the Relief of Leiden (3rd October), knows how the besieging Spanish army was driven away by the sea creeping across the flatlands after a dike was breached, with Leiden itself only remaining untouched as it sits on a hill that stands a whole 3 (yes, three) metres above sea-level. Friends of mine travelling up to my house complain of the ‘hill’ they have to crest, but again, Oegstgeest is pretty much at sea-level, so I don’t see the fuss. But you’re getting the idea, right. Flat, no hills, around sea-level – I thought I’d seen it all. Then I went to Lelystad. The Nature Park (see below): Birdwatcher heaven - but unlike my colleagues, I couldn't seem to spot any! Lelystad lies at the far end of the railway line that I take when heading to Schiphol. It’s been a line on a station departure board for so long that I had some curiousity as to what was there, why it was the terminus, who would visit there, and so on. I remember my interest being piqued in a similar way as a child by the concept and idea of Nottingham, ‘the station at the other end of the line’. Perhaps at that point I should have learned that not all intriguing things are interesting… But with Wikipedia easily available now, my curiosity was quicky sated. And if you’ve been wondering, clicking here will save you the bother of actually typing Lelystad into google. Having discovered, then, that Lelystad was, while interesting from the perspective of the civil engineer (as it lies on reclaimed land around 5m below sea-level), just a normal town, one would be forgiven for asking why I chose to go there. The answer is simple – I didn’t. I went there because I had to. I’ve been fortunate enough to be carrying out an internship alongside my LL.M. I work one to two days a week with a multinational beverage company, looking at all sorts of interesting stuff. Although I usually work pretty close to Leiden, our most recent monthly team meeting took place way up in the Flevopolders, the flatlands that extend to the North-East of Amsterdam, on a huge reclaimed island stretching from Almere at the bottom end to Lelystad and Swifterbant at the top. And it was in crossing the long extension bridge from the mainland onto Flevoland that I realised, the voice in my head mimicing the Masterchef opening, that Holland, doesn’t get flatter than this. Speeding along the top of the flood protection dyke, looking left and right, all that could be seen was a sea of brown, and occassionally green, fields. Every now and then a grey track led off into the flatness, leaving the highway at a 90 degree angle and remaining perpendicular until it disappeared into the haze of field and sky at the horizon. Straight as a die, the motorway struck out to the North, each mile the same as the last, green and brown patchworks as far as the eye could see. Suddenly, a sign of life. But just one. A small green tractor, almost perfectly camouflaged, moved slowly through one of the vast fields about 100 metres from the road. Just beyond, the farmhouse, in a slightly lighter shade of brown than its surroundings, could just be made out. 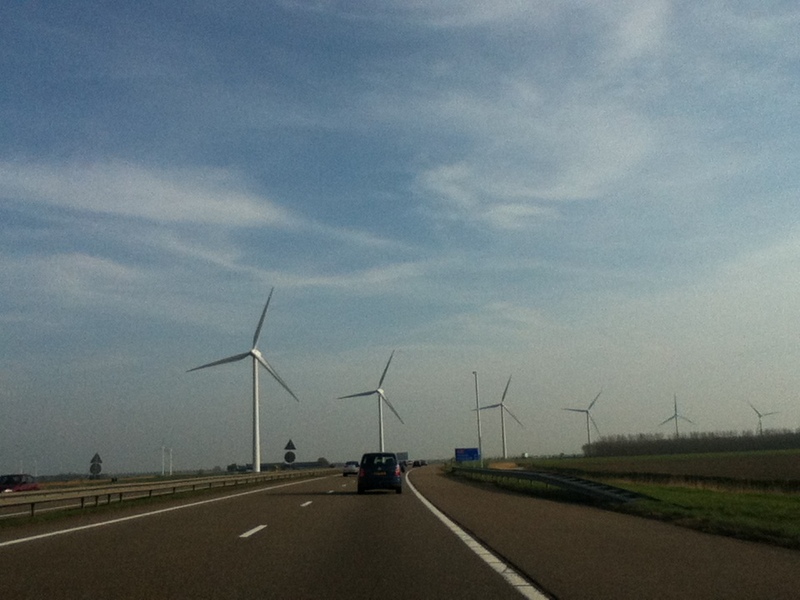 Continuing North, a pulsing hum grew ever more noticeable, and, after frantically checking the hire car for loose parts, open doors, damaged tyres, we looked up to see that we were entering a huge wind-farm. Everything at ground level was still ‘earth tones’, but at regular intervals these slim white towers with their sweeping silvery arms rotating broke the skyline. There was somethign strangely impressive, even attractive, about the array spread out before us. Reflecting, I imagine the ‘not-in-my-back-yard’ protests weren’t particularly strong here – Flevoland isn’t exactly in anyone’s back yard, see. The first signs of renewable energy. At around 5m below sea-level, Flevoland has a direct interest in cutting greenhouse gas emissions! I’m afraid that a chunk of the story has to be missed out here – I value my internship – but we ended up spending the afternoon on a nature reserve and a local farm, enjoying specialist lectures on biodiversity (which, conveniently enough, is the theme of the Public International Law course Moot Court this year, so I could almost call the afternoon ‘research’). 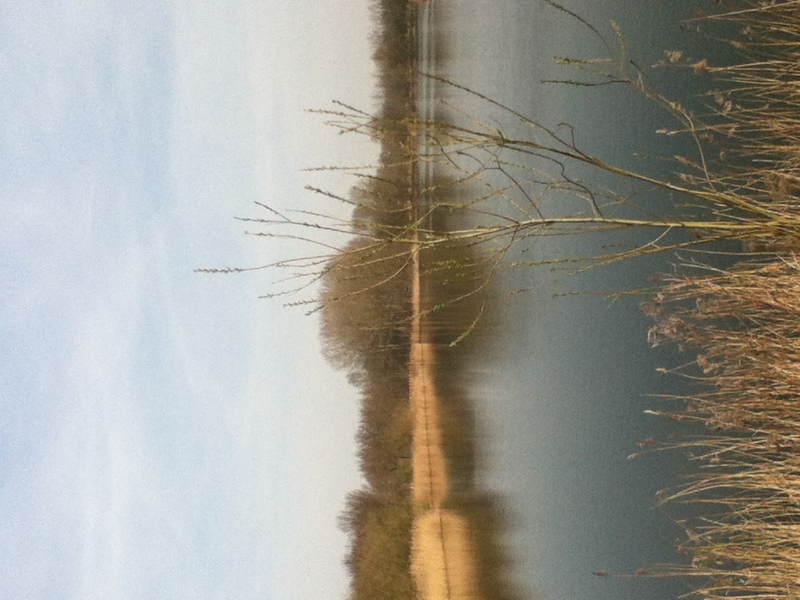 The nature reserve, the site where beavers were successfully reintroduced to Holland, is a twitcher’s paradise, with coots, seacoots, the ubiquitous heron, and any number of other birds that neither my eyes nor my camera were quick enough to spot and have identified. And, to crown it all, the majestic stork is known to soar gracefully over the park. Indeed, as we sat on the decking over the water, a dark shadow passed over us, and the sound of beating wings was heard, followed by a blur of white, black, and orange feathers, and incredibly bright red legs, before, with a less-than-graceful bump, the massive bird came to rest on its platform just metres away. The stork had landed. 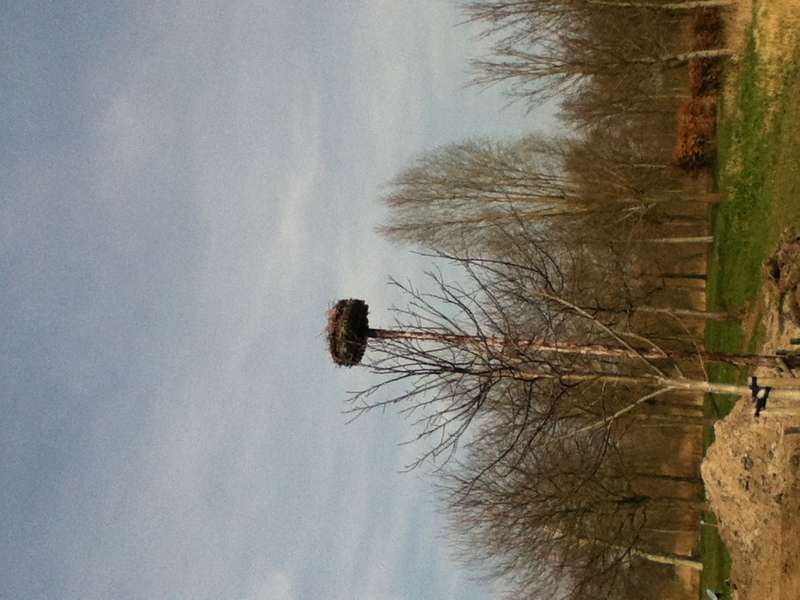 The one that got away - just seconds before taking this, the stork was preening itself, in the style of a dodgy drag-queen, atop this raised nesting platform. I got a few things out of the day, and not just that Holland is indeed flatter than a pancake, or any other comparison you might care to make. That said, standing in the middle of a farm in the polders, turning 360 degrees without seeing any variation in land-usage or relief, was, for someone brought up in rural England, very curious. Consequently, I think I learned a valuable, if shocking, life-lesson: Sometimes, things are far more interesting in real life than on Wikipedia. people are looking round for this information, you could help them greatly. , facebook starts up really fast. However thanks for putting up superb articles. I believe this has been really beneficial to user who actually click here. I should complement your site by stating you have done incredible writing. To get more understanding from articles you publish, I’ve book marked this url. write-up, I have saved this website. just me or your website however google and yahoo worked fine for me. Well, I’m going to thank you so much for placing brilliant content. you publish, I have saved the site. 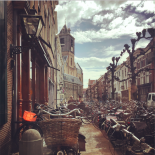 This entry was posted on March 31, 2012 by admin@theleidener in Laurence, Living in Holland.